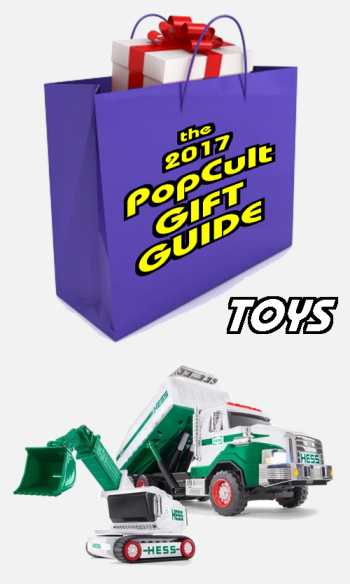 Welcome to the 2017 PopCult Gift Guide. It’s our annual collection of holiday gift suggestions that we hope are unique and new to you. This year we’re going to shoot for three entries per day, for almost three weeks, with an extra week of last-minute ideas after that, as they straggle in. 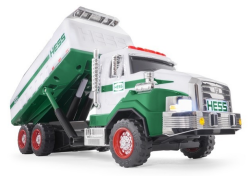 As has become tradition, our first entry is this year’s HESS Toy Truck. We tell you about this one first because it’s a limited edition, and if we held off, they might sell out before you can get your hands on one. Once sold in HESS Oil gas stations, these keepsakes are now only sold online, since HESS sold their retail outlets to Marathon Oil a few years ago. 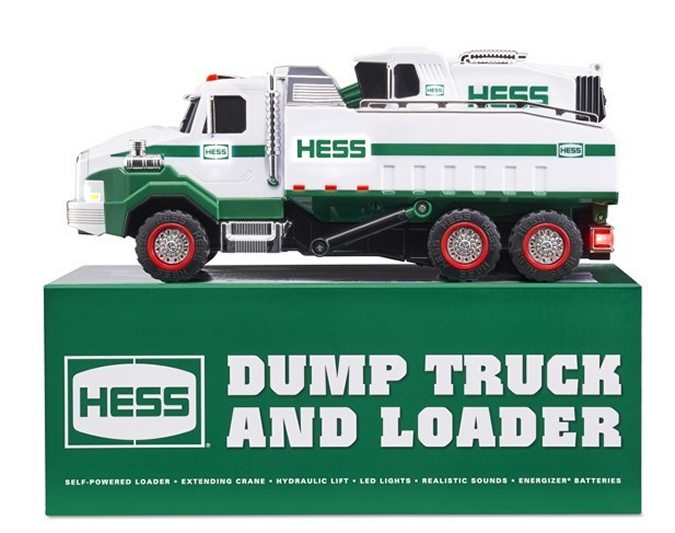 This year it’s another winner as HESS produces their first Dump Truck. The 2017 Hess Dump Truck and Loader is a powerful partnership of heavy-duty earth movers. With over 30 brilliant LED lights plus realistic sounds, this oversized dump truck and 2-way motorized, track-driven loader are a versatile team, ready to tackle the toughest jobs! The self-propelled, multi-direction powered Loader has a 270° rotating cab with a side-mounted extending boom featuring a jointed excavator arm and bucket combination that can bend and swivel in just about any direction. 2 top-mounted switches activate the lights and the motorized tracks in either forward or reverse direction for ultimate maneuverability! Chrome accents include the exhaust pipes, side mirrors and grille. This is an incredible toy truck set that young kids will love to play with, and older collectors will drool all over. 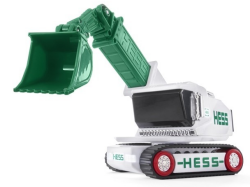 The 2017 Hess Dump Truck and Loader is sold exclusively at www.hesstoytruck.com for $33.99 plus tax, which includes 5 Energizer® batteries and free standard shipping. Order it now, before it sells out, and you’ll have it in plenty of time for Christmas.